HP’s working on new webOS hardware. That’s a fact, but that’s about all we know so far besides the Palmpad trademark. The company is doing a damn fine job keep things under wraps. Well, I guess there was that insignificant leak the other week that caused HP to go somewhat ballistic just because someone found that webOS 2.0 finally has a virtual keyboard as expected. But other than that, we know jack about HP’s webOS hardware. 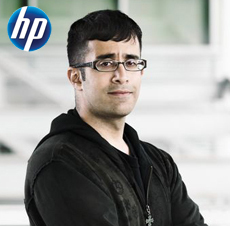 Rahul Sood, founder of VoodooPC and now CTO of HP Gaming after HP’s acquisition of VoodooPC, went on a tweeting storm today and while he didn’t really reveal any details about hardware, there are some nuggets in here about HP’s overall webOS philosophy. Spoiler: It’s about the hardware, not the apps. It’s hard to really understand where Rahul is coming from based just on these tweets, but the quality hardware message only goes so far. Perhaps that’s because nearly everyone is already expecting HP to produce a tablet that’s superior to the iPad in the hardware department. It’s not that hard, really. All it needs is a similar look and feel, with a SD card slot, USB port, and camera. It’s actually safe to say that it will fail if it doesn’t match up to most people’s expectations. It’s the apps, or more specifically, the functions, which HP needs to wow the world with. Rahul is probably right, the apps, as in 3rd party applications, can be a moot point if there are ton of baked-in functions that blow away the iPad’s native apps. But webOS still needs the support of developers to succeed in the long run unless HP plans on constantly outing new functions itself. It’s the development community breathes new life into older devices with their constant flow of new apps. But both hardware and software could be insignificant. The webOS hardware, the Palmpad and others, success will probably be made on HP’s marketing alone. Rahul seems to acknowledge that as well. All HP needs to do is make something and it will sell. HP might not have the cult following of Apple, but the computer company knows how to move boxes.